Telegea is the DEK Technologies modular platform for thermal energy monitoring and control. It is open source technology, available to everyone. Thanks to the supervision of only a few parameters it is possible to keep the indoor comfort and air quality under control and increase the efficiency of heating/cooling systems. Telegea uses sensors and actuators to interact with the environment. It also provides a single user interface which is able to handle different types and brands of thermal equipment. Telegea is being developed as an Open Source platform, mainly focused on thermal energy monitoring and control. It provides the underlying technology for building applications and products for sustainable thermal energy management. The idea for this platform was born from the experience gathered in the field of geothermal heating/cooling plants and customer requests for a system, which would be able to add monitoring functionality for the main parameter values and remote control of the plant. Such a platform should also be independent from vendor specific equipment and be able to manage different kind of brands of thermal appliances. Moreover improving the energy efficiency in our buildings has become one of the key aspects as well as the CO2 and cost reduction. 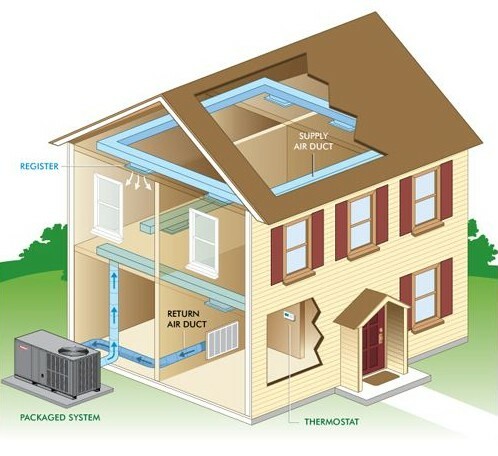 The usage of renewable resources in thermal energy, like high efficiency heat pumps, and the integration of different systems for heating, cooling, heat recovery ventilation, dehumidification and so on, requires platforms which are able to manage complex systems for small and medium sized buildings. With the Telegea platform we are developing an open system to meet all the above requirements and to face the challenges of today’s demand for environment friendly thermal energy management. Telegea provides interfaces to sensors and actuators in order to interact with the environment and equipment. It implements a single user interface for the plant management. Based on the raw sensor data it calculates and visualizes the actual thermal and electrical energy consumption. It is able to optimize the comfort and increases the efficiency of heating/cooling systems. The platform is designed to provide a system at low cost and at the same time offering great flexibility. Cost is kept to a minimum by avoiding any additional hardware components and implement all functionality using only the components provided by the Smartbox device. Flexibility is achieved by providing the possibility of different combinations and configurations of the platforms main building blocks. This allows for a wide range of possible applications. As a main contributor and coordinator of the Telegea development, DEK Technologies can support you with any questions regarding the platforms deployment and product development.